If you looking for a contractor that can deliver a metal roof that will last and withstand the South Texas weather, look no more than Independence Roofing of San Antonio. San Antonio metal roofing contractors have began to install all kinds of types of metal roofs in the past years. At Independence we use the top materials to ensure our customers get a metal roof that is durable, strong, and will last for the years to come. The color and type of roof is determined by the customer. 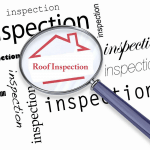 We can consult with clients by visiting their location and taking measurements for their new roof. From there, we begin to put together a package of materials to be used for the project. In some cases we need to utilize a small crane to lift metal sheets onto the roofing structure. We begin to layout the roof before moving into the fastening stage. Metal roofs can take a beating due to the weather we have in South Texas. Its very important you get with a consultant to select the right material to guard against the hail and storms we encounter in San Antonio. 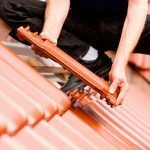 By selecting the correct material for the environment, your roof stands a better chance against the elements and increases the lifespan of the roof. For instance, selecting an aluminum roof in San Antonio would not be preferred. 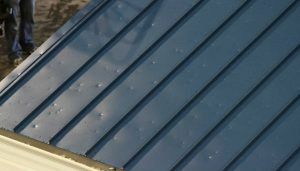 Aluminum is softer than other types of metal and one hail storm could damage your roof costing you thousands of dollars in repairs. Over 20 years, Independence Roofing has installed and repair metal roofs in San Antonio. 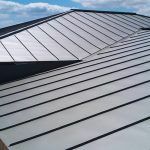 We can offer sheets or metal shingles. Installation for small or large homes can be completed in 1-2 days. Businesses depending on the size can typically be completed in 2-4 days. 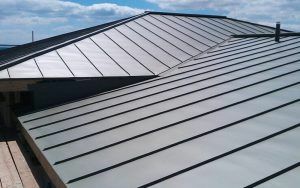 Contact us today to begin planning your metal roof. We offer free advice and consultations. Check out our metal roofing San Antonio page for more information on metal roofs. Proud to be members of the Better Business Bureau.